Since your company doesn’t write resumes, can you please recommend some good Seattle resume writers? I tried to write my resume but I gave up. Sure. I’m a fan of hiring a resume writer because as you experienced, sometimes it can be very difficult to objectively evaluate your own experience and write well about your accomplishments. Some critics talk about how you shouldn’t hire resume writing help because they think that the only acceptable path is to struggle through the writing effort yourself, but honestly, I don’t know where this misperception arises. No one shames you for hiring someone to change the oil in your car or paint the exterior of your home, right? You hire someone because they can do it well and usually in less time than you could do it yourself. Hiring a resume writer is an investment in your career. Eve writes resumes, cover letters, and LinkedIn profiles. Jill is a professional resume writer and an interview coach. 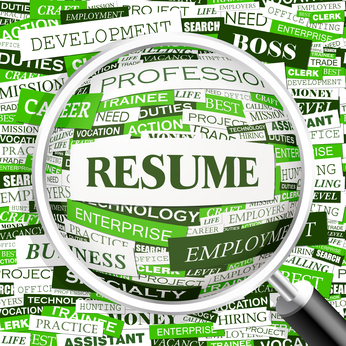 Professional resume writing. Offers a sliding scale for clients seeking an affordable option. In addition to being a professional resume writer, Kristen is a technical recruiter and career management expert. Kristen specializes in the financial services industry. Also, while Dawn Bugni of The Write Solution and Donna Svei of AvidCareerist aren’t geographically located in Seattle, each of them have written resumes for several of my Seattle clients, with great results. Here’s the obligatory legal disclaimer: I have referred clients to these writers and the feedback about them is excellent, but since I can’t predict the chemistry between you and a writer, I am not responsible for the outcome if you hire one of these professionals. My suggestion is that you visit their websites, contact them to describe what you need, and use your own discretion about whether the match is a good one between your goals and what the resume writer can offer.